“Our professional team of Search Engine Optimization (SEO) experts have well over a decade of experience in all aspects of SEO. We focus on providing white-hat optimization techniques that ensure your website will be ranked at the top of all major search engines. No gimmicks or tricks, just proven strategies and good, old hard work backed with research and knowledge designed for ultimate success. Our SEO consultants conduct comprehensive research to identify the most relative keyword search terms for your web site with detailed reports including keyword popularity, keyword density, and competitive rankings. We provide the most ethical, white-hat SEO techniques in order to gain the highest possible rankings for your web site. We also ensure that your web site stays at the top of the major search engines on an ongoing basis. If you don't have the budget for an ongoing Monthly SEO Package, we highly recommend you enroll for one of our affordable Advanced SEO Booster Packages. Our Advanced SEO Booster Packages provide you with a rapid, major 'boost' to your web site's search engine rankings for a one-time fee. Disclaimer: Each plan has different inclusions in terms of the number of keyword phrases that we will optimize for and the areas of activity that we provide for, within each plan. We strongly recommend that you maintain your selected SEO campaign for a minimum of 12 months, although you may very well see some results in the first 2-3 months, your site will only start really establishing itself in the highest and most competitive search engine rankings in months 5-6. 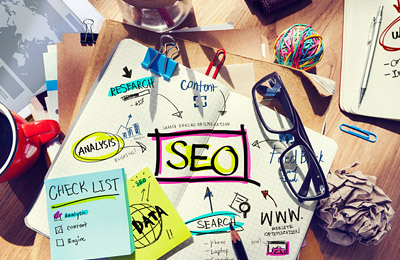 Maintaining this longer term SEO campaign will also help in extending your search engine reach and penetration. We cannot guarantee the results of any plans, but usually show great results in a very short time for our customers. This is also why we don't require a long term contract. Once you see good results, then you will be able to start measuring your ROI (return on investment).